This proposal is to construct an approximately 229,420 square foot, 3 story building located on the corner of Orders and Haughn Rds. 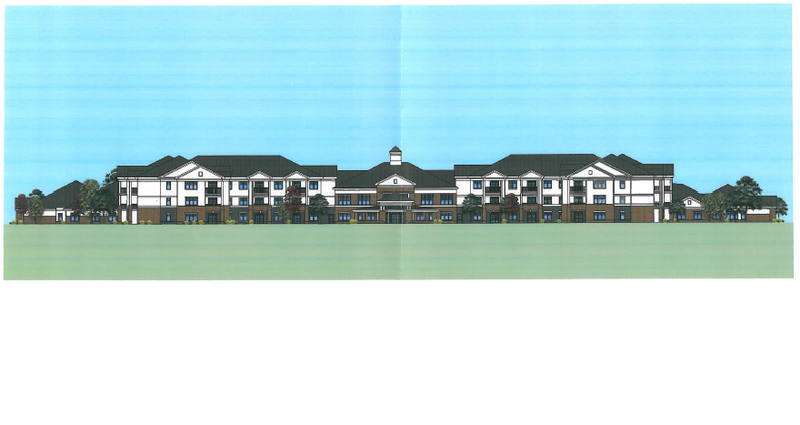 The proposed development is for creation of senior housing and will contain dining venues, indoor and outdoor activity areas, shops, postal services, a bank, salon/barber, library and computer classroom and multi-purpose rooms, fitness or other group activities. In addition, there will be a 1 story environment for seniors with slightly higher needs and a separate 1 story facility for seniors with Alzheimer’s or other associated dementia.